the Cadillac Homepage, Cadillac sales brochures and Cadillac books, e.g. 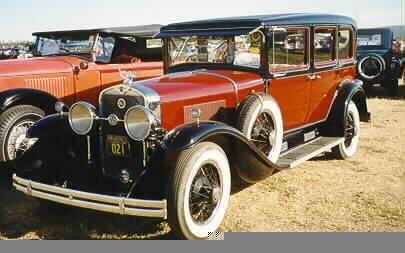 "Cadillac, The complete history". Former gunsmith Leland Standardized production of engine parts by means of Swedish "Johnson tools" that set the standard for piston and bore sizes. 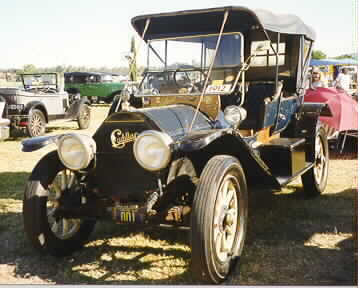 1908: Three Cadillacs where shipped to England and their performance was measured. The cars where then dismounted and the parts where mixed, some parts where replaced by spares. The cars where then mounted and tested with the same results as before! This won Cadillac the Devar trophy. 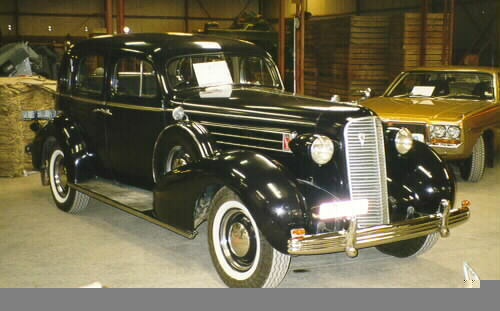 1941: Cadillac introduced a fully automatic transmission, consisting of a fluid coupling, four forward speeds, and a hydraulic "brain,"
1941: Air condition was offered. 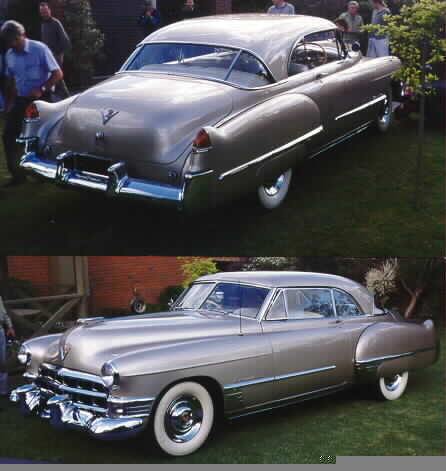 1952: Cadillac introduced the Autronic Eye, which automatically dimmed the headlamps. Two safety innovations introduced by Cadillac were a one-touch system for washing and wiping the windshield, and a padded instrument panel cover. 1954: Cadillac became the first manufacturer to make power steering standard on all models. The 1957 Eldorado featured power seat with memory, automatic door locks, whitewall (low profile) tires, forged-aluminum wheels and air suspension. 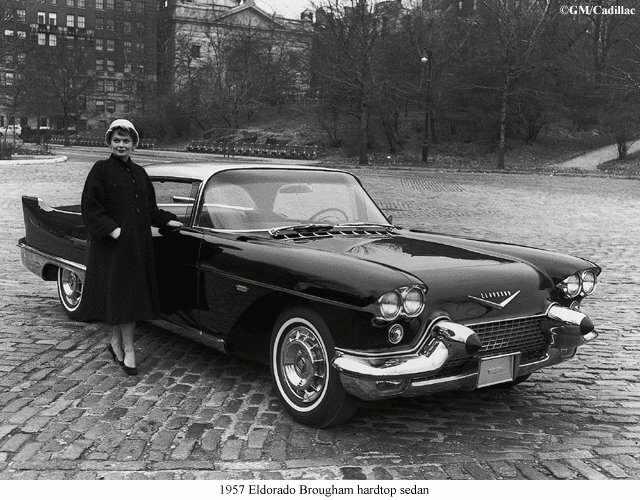 1957: X-shaped frame with four coil springs was used, this provided the possibility to build a lower sleeker body for the "low and wide look"
1959: Low pressure freon-filled shock absorbers improved Cadillac's ride quality. 1960: A Foot-operated parking brake that automatically released when the transmission was shifted into gear was introduced. In 1962, Cadillac models featured cornering lights and dual circuit braking, both key safety innovations. 1964: Twilight Sentinel automatically turned headlamps on at dusk and off at sunrise. Also new for 1964 was automatic climate control, which provided "set it and forget it" control of both air conditioning and heating. 1965: Front seat belts became standard Cadillac equipment. 1965: Cadillac is the first car company to introduce tilt and telescoping steering wheels. 1966: A welcome cold-weather climate option was electrically heated seats, which first appeared on 1966 models. 1970: The worlds largest passenger car engine was used in the Eldorado: 500 cui (8.2 l) 400 hp and 550 lb.ft. 1970: Computerized anti-lock rear brakes were introduced as optional equipment. 1971: Lamp monitors where introduced, this enables the driver to check if the head-, tail- and turn signals are working. The system uses fiber optics to transport the light to monitors on front fender and above the rear window (visible in the rearview mirror). 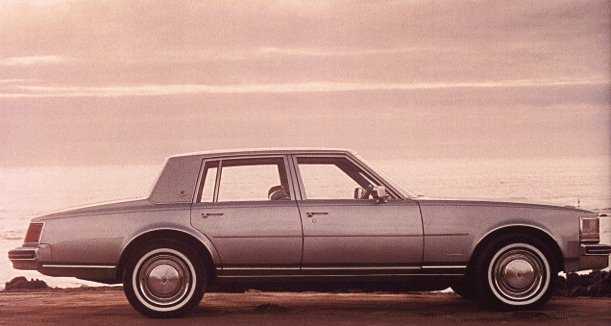 1974: Along with Buick and Oldsmobile, Cadillac pioneered the use of an air cushion restraint (air bag) system to protect the driver and front seat passengers in the event of a frontal collision. Driver and front-seat occupant safety air bags were offered in 1974, 1975 and 1976 models. 1978: Digital electronics were programmed by Cadillac to operate a Seville trip computer. 1979: Closed loop fuel injection (oxygen sensor). 1980: Integrated circuits took command of fuel injection, ignition and vehicle diagnostics. 1987: Cadillac became the first carmaker to use multiplex wiring, with a multiplex wiring harness for the exterior lighting of the Allanté. 1992: Cadillac introduced its first 32-valve V8, the 4.6-liter Northstar. The Northstar has aluminum block and cylinder heads, and features 16 new patents, including a unique "limp home" feature that allows the engine to operate without coolant for over 50 miles in emergency situations. 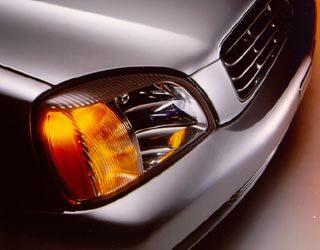 1993: Allanté became the first front-wheel-drive vehicle with electronic traction control. 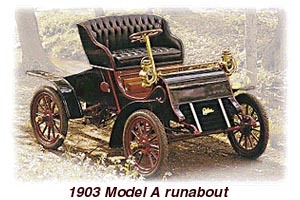 The system controlled wheelspin by adjusting application of the individual front brakes, then by reducing engine power by cutting off fuel to individual cylinders. 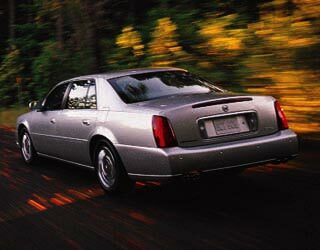 1993: Traction control was standard feature on the full size Cadillac Fleetwood as well. 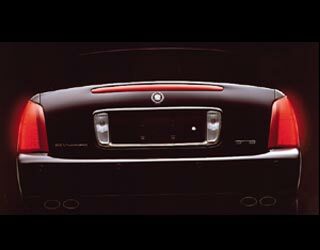 1996: The Seville Touring Sedan, Eldorado Touring Coupe and DeVille Concours feature the highest horsepower (300 hp @ 6000 rpm) front-wheel-drive engine in the world. 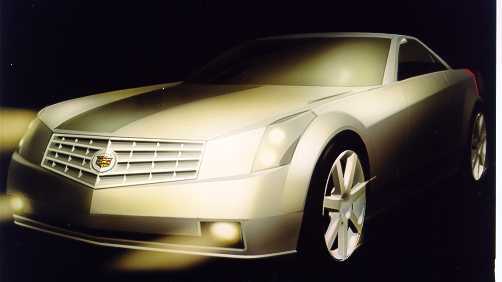 1997: StabiliTrak is added to the Seville STS, Eldorado Touring Coupe and the DeVille Concours. StabiliTrak helps prevent skids or loss of directional control through curves, on slippery surfaces or during severe steering maneuvers.